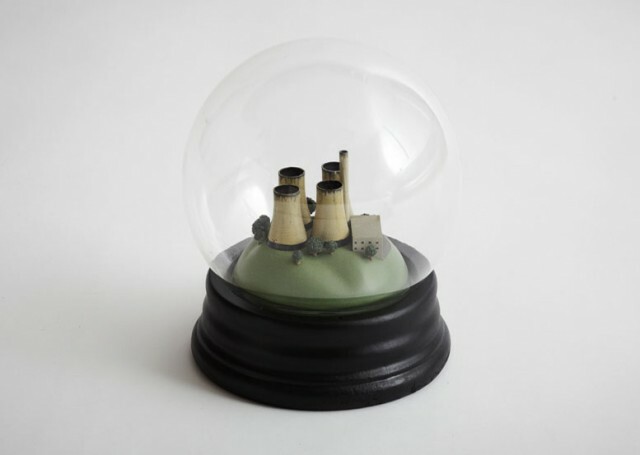 This Snow Globe has a Coal Plant and Emits Smog. 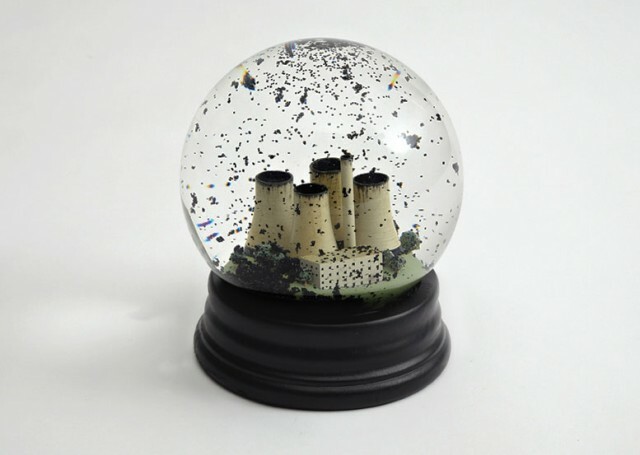 The single greatest threat to the climate comes from burning coal but despite this a whole new fleet of dirty coal-fired power stations are on the verge of being built in the UK (the first for 30 years). The snow globe was designed for Ctrl.Alt.Shift in anticipation of the United Nations Climate Change Conference in Copenhagen 2009.